"I might even miss this." 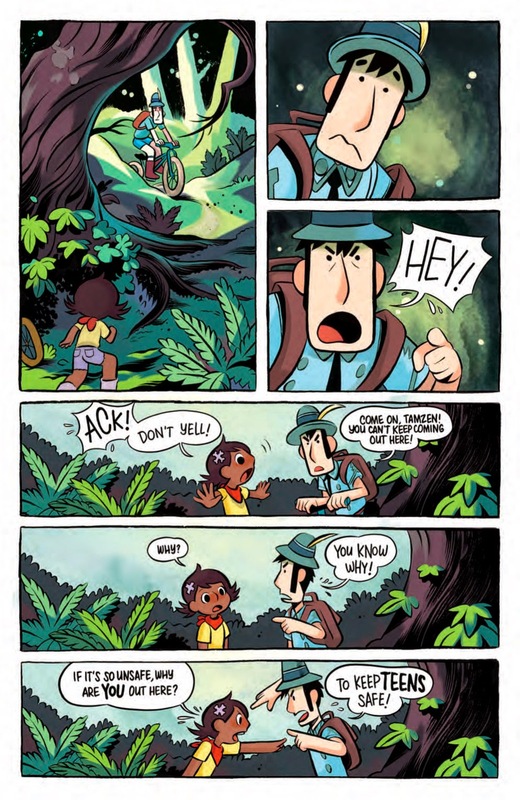 What's an intrepid young explorer to do if she's told she can't explore? Do it anyway. Those types of stories make for fun reads and when you mix in a sense of foreign wildlife, things get even more exciting. KaBOOM! 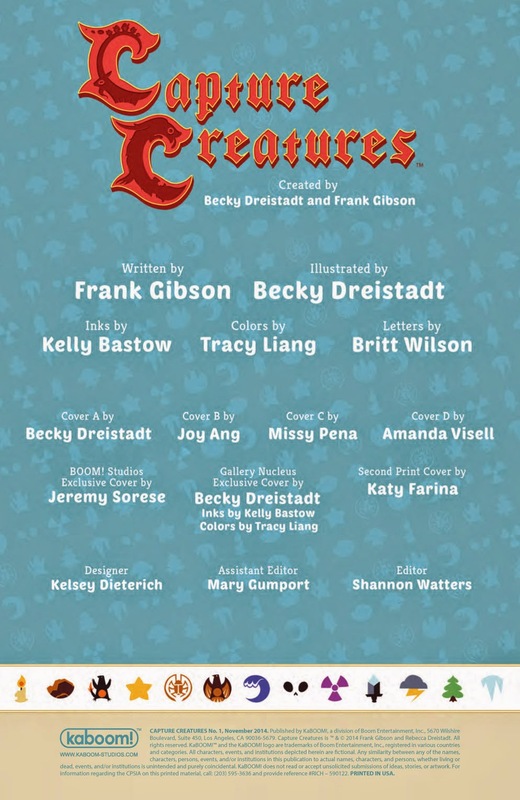 Studios has a story that focuses on exploring the world in Capture Creatures #1. 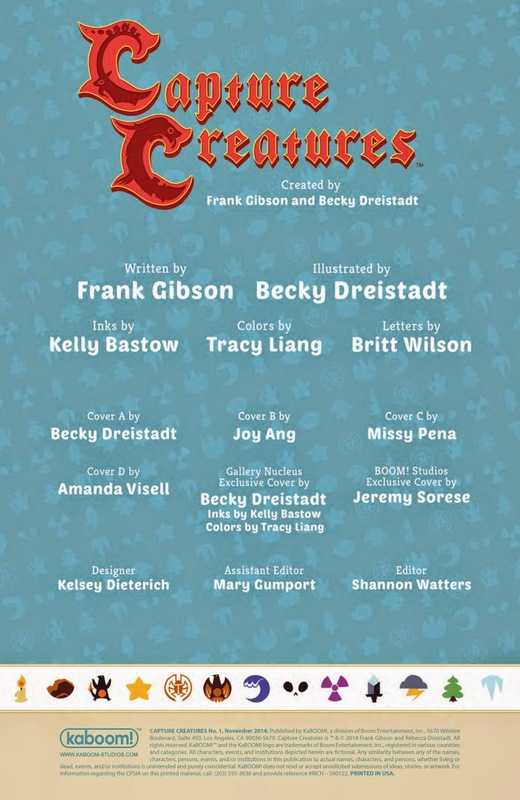 The issue is written by Frank Gibson, illustrated by Becky Dreistadt, inked by Kelly Bastow, colored by Tracy Liang and lettered by Britt Wilson. Over a hundred wonderful and terrifying creatures have suddenly appeared on Earth. Tamzen and Jory are two teens who set off on an adventure to investigate the origins of these curious creatures and learn how they can stop those who are trying to destroy them. Their adventures take them to the New Reclamation Zone and beyond, introducing them to some new creatures along the way. 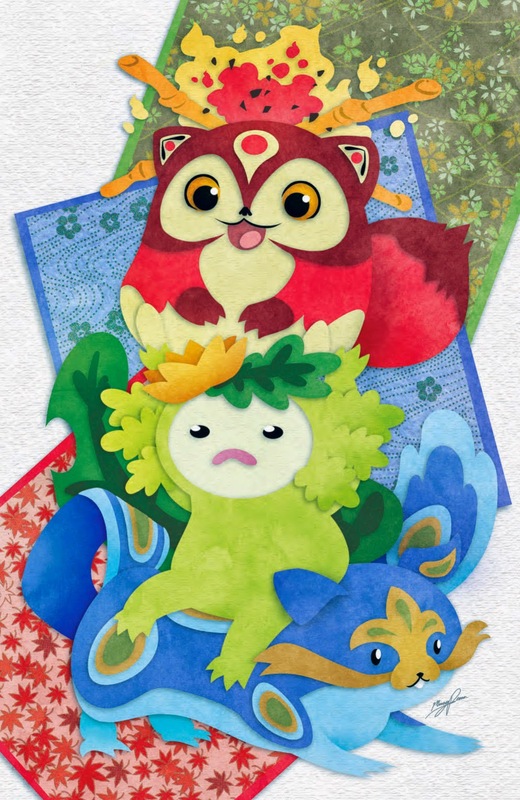 Ever since Ken Sugimori created Pokemon, there have been all sorts of properties tied to creatures who interact with one another in some capacity who effectively captured the hearts of kids (and wallets of adults). Capture Creatures #1 is pretty clearly inspired by those works, but Gibson seems content to take things in a slightly different direction. 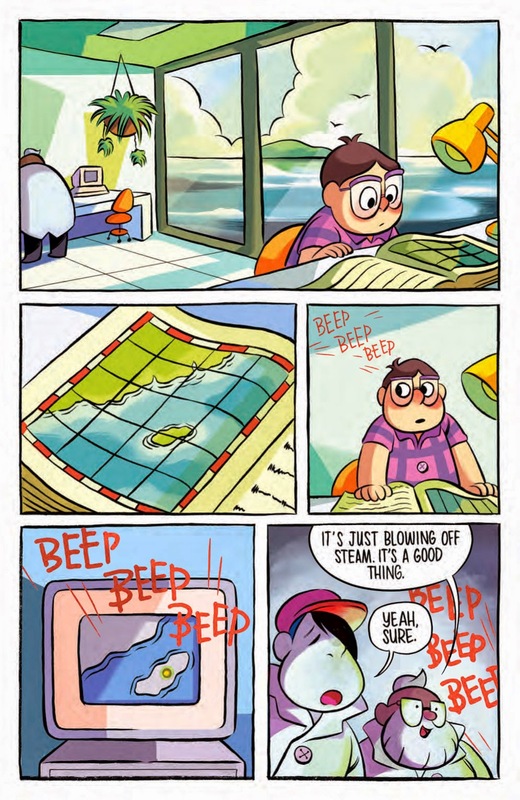 Here, the creatures suddenly appear and get the attention of Tamzen, a precocious daughter of a scientist who's not content with just "knowing" something. In that regard, Gibson infuses her with a curiosity that seems insatiable that propels the story forward at almost a breakneck pace. 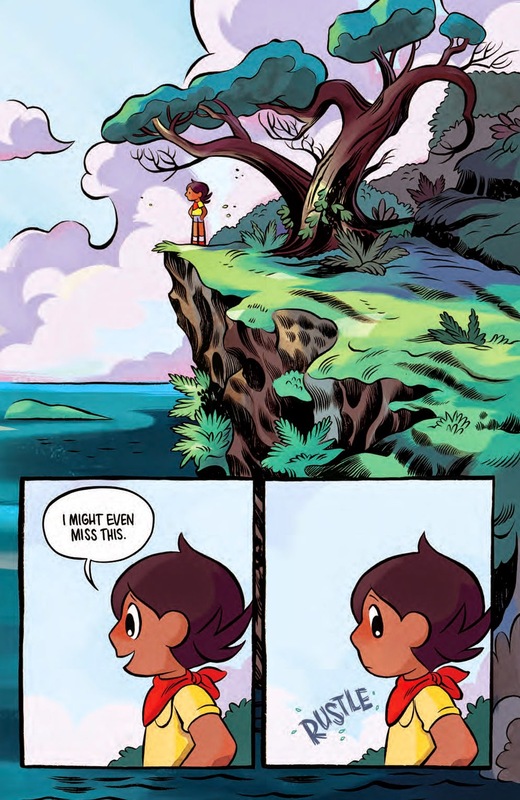 Her relationship with Jory is very refreshing and their camaraderie shared as two teens exploring a new world is the catalyst for the events in the issue and presumably series. 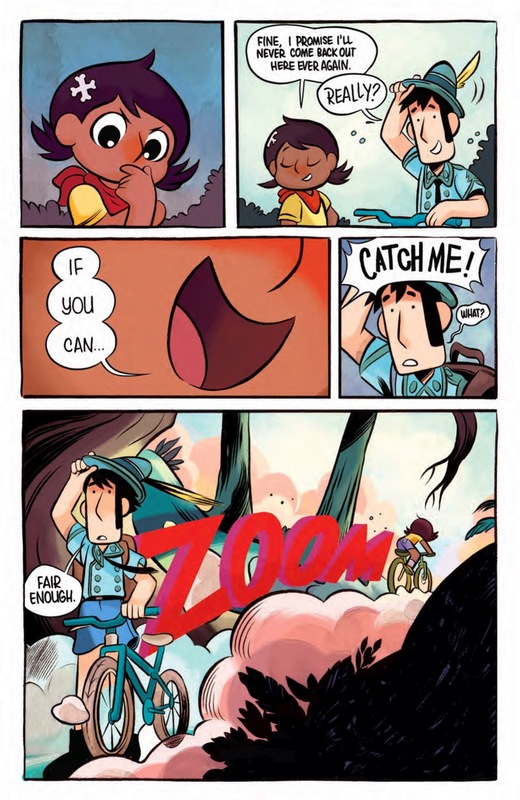 There's an inherent cuteness in a book about small creatures appearing out of nowhere when kids are exploring and Dreistadt does a great job of infusing Capture Creatures #1 with tons of that charm. Characters boasts exaggerated anatomy that emphasizes straight lines and very expressive faces. The Bon Bon Fire looks sufficiently endearing as well, reminding the reader that this a book definitely ideal for all ages and readers. Liang's colors add life to the work as well, helping to depict a forest teeming with activity and adventure. The art is displayed as if one is watching a cartoon, which makes it a very appropriate fit considering the context of the story. 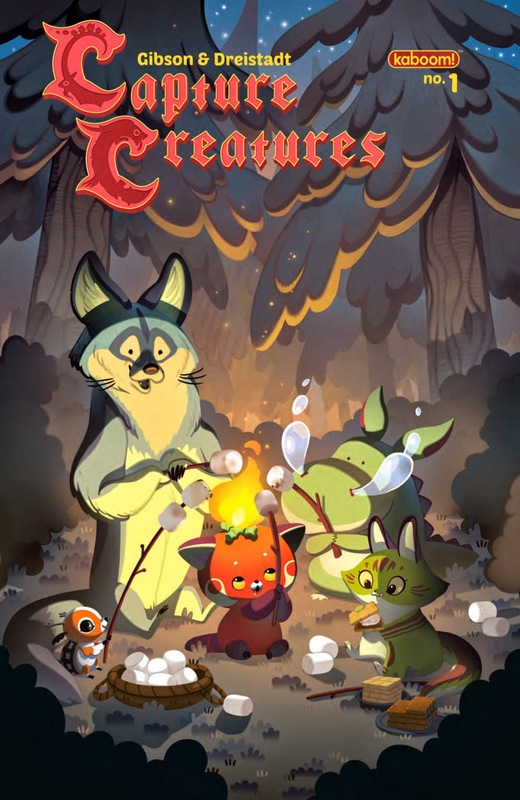 Capture Creatures #1 is something that will more likely appeal to kids than adults, but that's not to say that older readers won't enjoy the work. The story is easy to enjoy, even if the concept itself of kids "collecting" wildlife feels a little too familiar at this point. Gibson's script is very light yet involved, offering an ending that promises to take Tamzen and Jory to places they didn't really think were possible to get to initially. 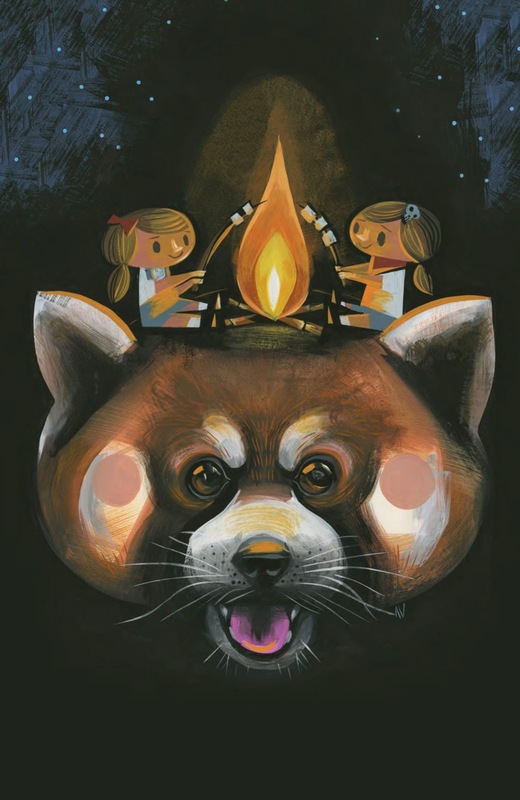 Dreistadt's illustrations are charming, giving the reader a glimpse into a world that oozes adorableness. 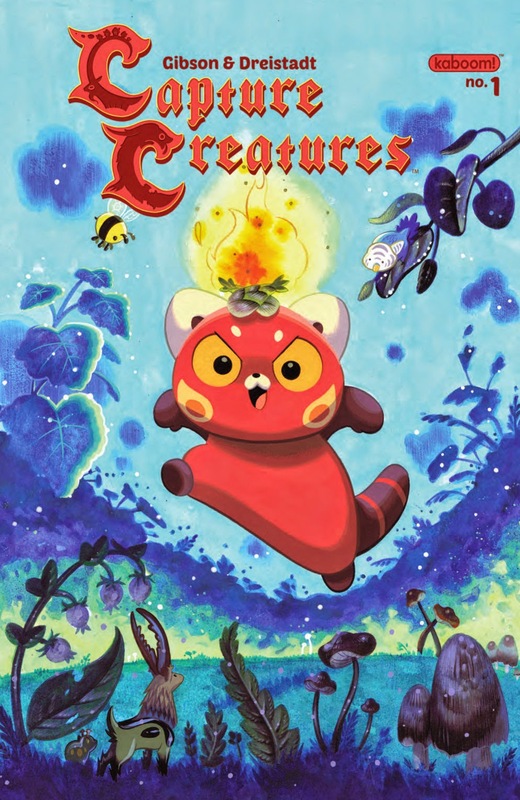 Capture Creatures #1 is a book that fans of Pokemon and Skylanders will feel right at home with. Capture Creatures #1 is in stores now with interiors below.